The government is set to propose a subsidy of 50,000 kroner for each of the next 100,000 electric cars sold in Denmark. 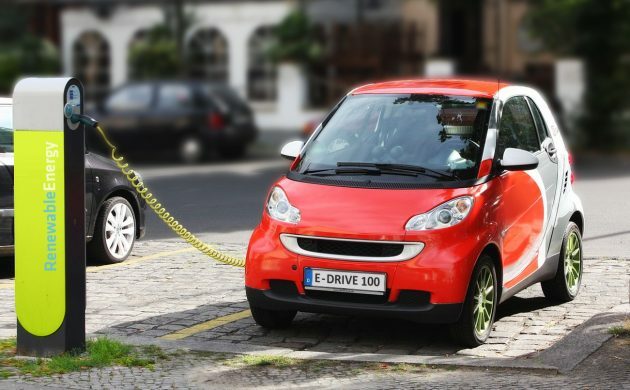 The proposal is one of several recommendations made by the Klimarådet climate council, and it is confident the measure will ease 100,000 more electric cars onto Danish roads despite the government’s commitment to restoring registrations taxes. Currently, electric cars account for only 0.5 percent of all road vehicles in Denmark. Meanwhile, according to Berlingske, Danish PM Lars Løke Rassmussen is soon expected to reveal new ambitious climate goals, which are set to include a total phasing-out of the sales of petrol and diesel-driven cars by 2030. The summer heatwave has guaranteed Danes a green Christmas – so green that one Danish farmer has described it as the best Christmas tree harvest for nine years. The downside of the remarkable temperatures is that most of this year’s new trees, planted at the beginning of summer to be used in seven years’ time, have not survived. Thus, the farmers will be forced to replant this autumn. A study conducted by the Iris Group consultancy has found that DTU students have created more than 2,200 startups over the last 20 years. That amounts to two startups a week. Among the class of 2018 is the brainchild of two mechanical engineers who have created a new technology for sorting through waste, making it easier to recycle plastics. DTU has named it its ‘Best Startup of the Year’. A rare deep-sea fish, which has only been documented three times in 65 years, has been caught by a sailor off the coast of Denmark. The 60 cm red Nordic beryx usually lives at a depth of around 500 metres. However, this specimen was caught at a depth of 300 metres. The fish, contrary to its name, is far more common in seas around New Zealand and Australia.